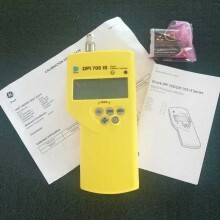 Includes: 3 AA alkaline batteries, Druck DPI705 Manometer users guide, soft carry pouch and cal cert. 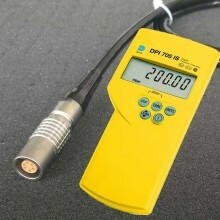 The GE Druck DPI 705 Manometer uses a micro-machined silicon transducer to produce a pressure reading in units of pressure measurement. 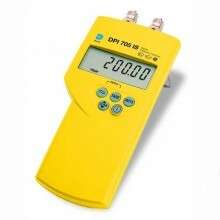 Compact, robust and lightweight, the DPI 705 manometer is designed for single handed operation and provides many essential features required for routine maintenance and system troubleshooting. Selectable Pressure Units: psi, inHg, inH2O (4°C, 20°C and 60°F), ftH2O (4°C, 20°C and 60°F), mmHg, mHg, mbar, bar, mH2O, Pa, hPa, KPa, MPa, Kgf/cm2 and an optional user defined scale. 0.1% full scale (FS) accuracy. Leak test, tare, max/min and filter. Optional pneumatic and hydraulic hand pumps. 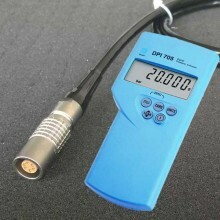 Pressure range 0 to 7 bar gauge. 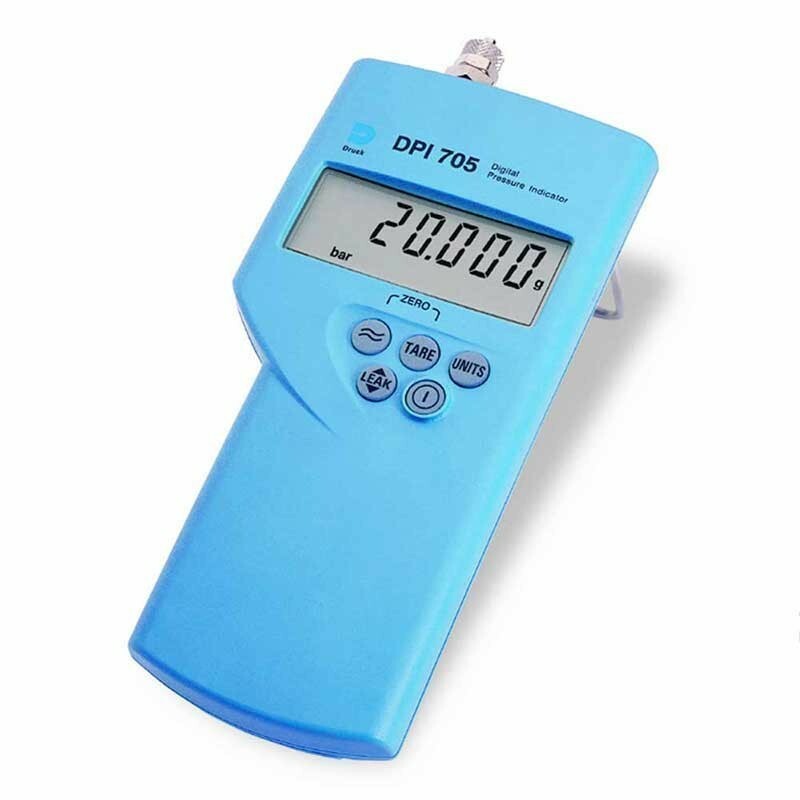 Pressure Units psi, inHg, inH2O (4°C, 20°C and 60°F), ftH2O (4°C, 20°C and 60°F), mmHg, mHg, mbar, bar, mH2O, Pa, hPa, KPa, MPa, Kgf/cm2. Calibration Units mbar, bar, psi, kPa, mPa, hPa, Kgh/cm2. Leak test Standard 60 second leak test. Tare 0 to 100% FS zero offset capability. Filter 10 reading rolling average for unstable pressures. Alarm Adjustable high pressure alarm with visual and audible warning. Overpressure Safe to 2 x FS. Display flashes at 110% FS. 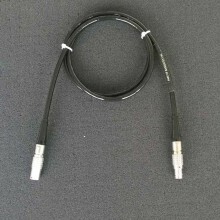 Media compatibility Internal sensor: stainless steel, except positive differential non-corrosive fluid and negative differential dry gas. 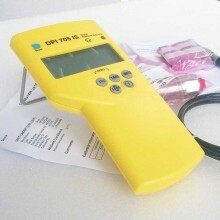 Ambient Temperature °C and °F reading of local condition ±1.5°C (±3°F). Display 13mm LCD with 99999 readout. Power Management Low battery indicator and selectable ‘auto off’. Battery 3 x Alkaline cells. Storage temperature -10°C to 50°C (15°F to 120°F). Safety Conformance EN61326-1, CE marked. Dimensions 190 x 90 x 36 mm. 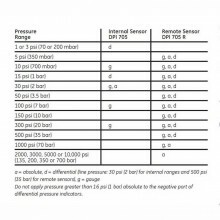 PDF Specifications of the Druck DPI705 Series of Digital Pressure Indicators.